Bittersweet dark cacao is blended with creamy almond milk and Australian Grown sun ripened chia seeds and lightly sweetened with unrefined coconut sugar. Dark Cacao Chia Pod® combines the nutrition of chia seeds with the added antioxidants, iron and magnesium of raw cacao to create a delicious breakfast or guilt-free snack. Each Dark Cacao Chia Pod® provides 3g of omega-3 and 7g of fibre. An energy boosting, guilt free snack made with cacao, the rawest form of “chocolate”. 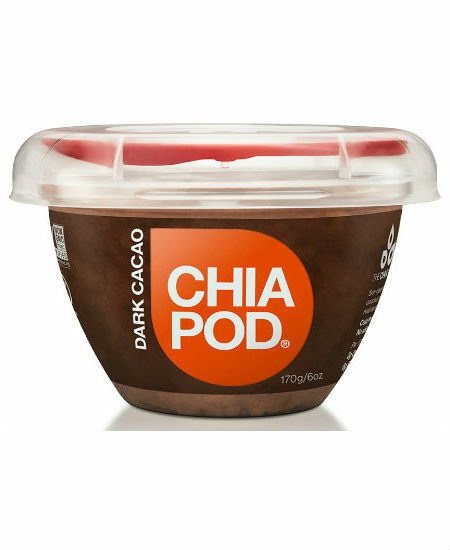 Chia Pod® Dark Cacao combines the healthy omega 3 fatty acids, fibre and protein of chia seeds, blended with almond milk, bittersweet fair trade cacao and low-GI coconut sugar. 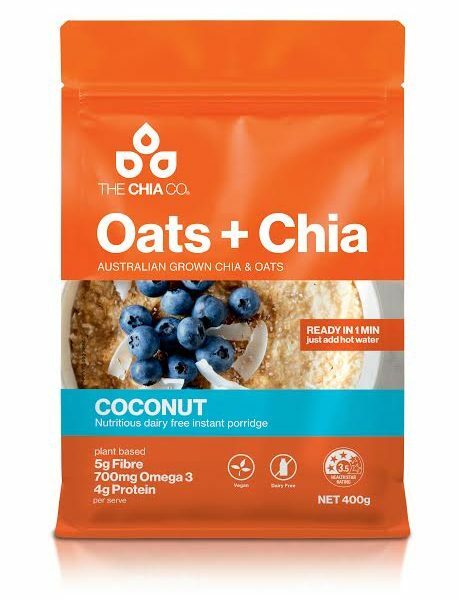 High in dietary fibre and a daily source of Omega-3 ALA this super snack is gluten free, vegan and dairy free. 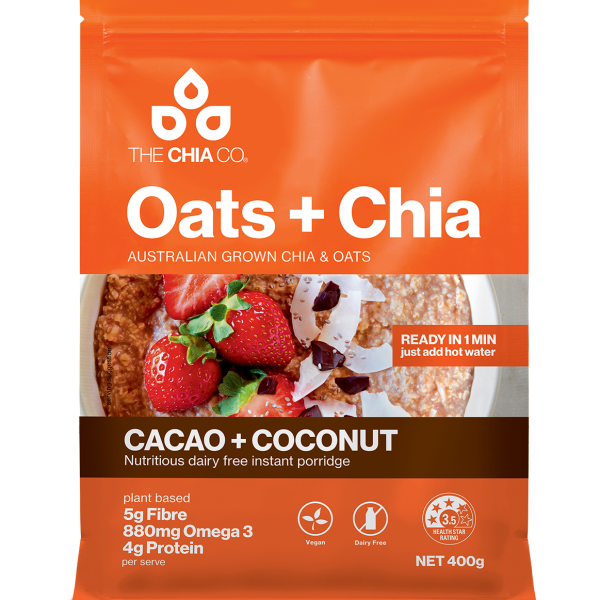 Our Oats+Chia are a positively simple and healthy everyday breakfast.